With the advent of Kindle and other e-readers, a colleague in the publishing industry lamented that she would get on the subway and not always be able to tell what people were reading; She liked to spy book covers to gauge what was popular (granted, it’s a favorite public transport pastime for us all—you can get a lot of inadvertent recommendations that way). But one thing Kindle also made easy was to read books you otherwise might be embarrassed to—those guilty pleasure reads (no matter that they're often mega-bestsellers), or the just plain awkward for one reason or another. But when it comes to reading, you should never be ashamed (that is a feeling reserved for people who wear toe running shoes). Here are a handful of books I’ve noticed people reading on the bus lately, sheepishly with covers half hidden by strategically placed hands and scarves. But those readers were also smiling conspiratorially. Myself included. "What?! 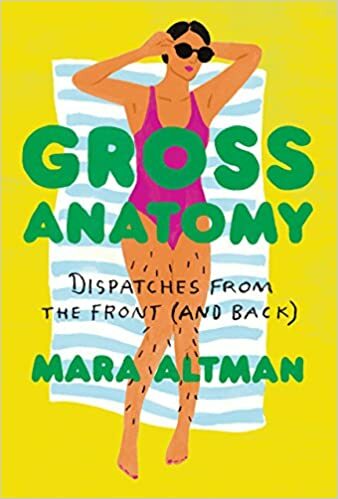 It’s like Amy Schumer and Mary Roach got together to do an adult version of The Care and Keeping of You" the woman explained, observing the slightly squeamy looks the cover of Mara Altman's Gross Anatomy was generating. Tackling topics ranging from body hair to sweat to "the air down there," this fascinating, funny, and informative book has an underlying message: Let's be kind and accepting of ourselves (and our reading choices). 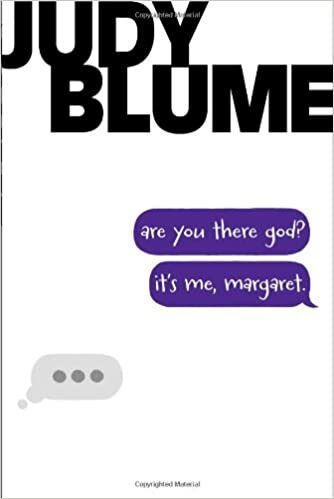 Perhaps the most beloved in Judy’s Blume’s universally lauded oeuvre is also the book that many of us, as preteen girls, read under the covers with a flashlight and discussed only in secret groups, much like the one Margaret frequented to glean wisdom about boys, bras and periods. It's also a profound, and refreshingly frank exploration of spirituality, something that caused controversy when it was first published in 1970 (and even today). I loved spotting this classic out in the wild. 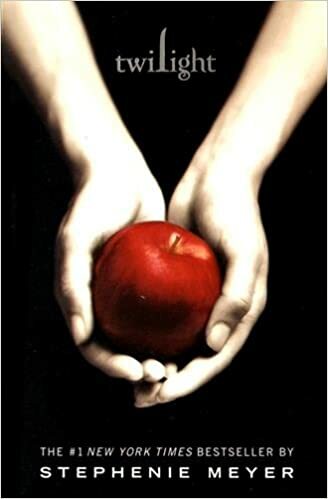 Are you team Edward or team Jacob? I remember the day one of my former bosses, a literary snob of the highest order (a book club once broke up with her, via email, because she hated The Kite Runner), made a shocking confession: She got sucked-in by the Twilight series, but she wouldn't read it in public. That was not the case for the young man sitting next to me during the morning commute, although he had ripped the cover off. 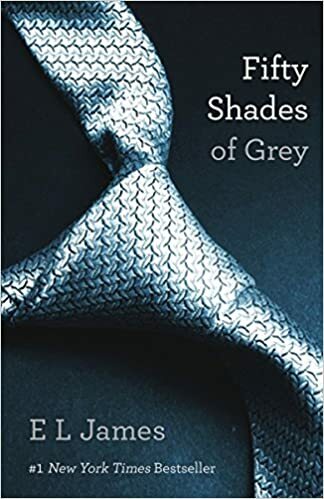 The only thing more jarring than the tattered Hello Kitty wrapping paper only partially hiding E L James's (in)famous Fifty Shades of Grey was the color-coded tabs on numerous pages: All the colors of the rainbow, several red ones which one could guess the significance of, and one solitary black tab. I was curious, but some things are better left a mystery. No, this is not a parenting manual, but that’s what a fellow passenger assumed when I was re-reading this last month, congratulating me on my pregnancy despite the fact that I am decidedly not with child (or a big fan of beer). 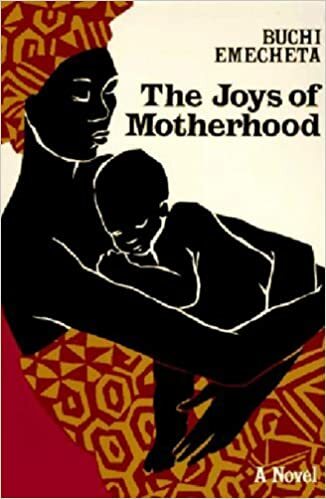 Originally published in 1979, it’s one of Emecheta’s most celebrated novels, and it remains a timely (and tough) read about the restricted role of women in a patriarchal society. I think I'm gonna outfit it in some Hello Kitty wrapping paper before reading it in public again.